Turin is the gateway to some of the best ski resorts in the Italian Alps. The high altitude of the Alps here offers amazing snow conditions throughout the season and much quieter slopes compared to the popular French resorts. We also have a range of package ski holidays flying into Turin to ski chalets, hotels and apartments. See below for ski resort transfer times from Turin and links to accommodation. There are a number of top ski resorts close to Turin, these are Pragelato, Sauze d’Oulx and Sestriere. Sauze d'Oulx is home to some of Italy’s best pistes linking to the resort Sestriere with very reasonable pricing. It has a big après atmosphere too with live music starting at Capanna Mollino in the Sportinia area moving onto the Village café-bar on the run into the resort. Club Med at Pragelato is ideal for kids with the quality childcare the resort has to offer and the all-inclusive ski experience with activities within this tight-knit holiday village. The skiing isn’t too bad either having hosted events at the 2006 Turin Winter Olympics. 90 minutes from Turin airport and you arrive at Sestriere, in the heart of Italy’s biggest ski area, The Milky Way. 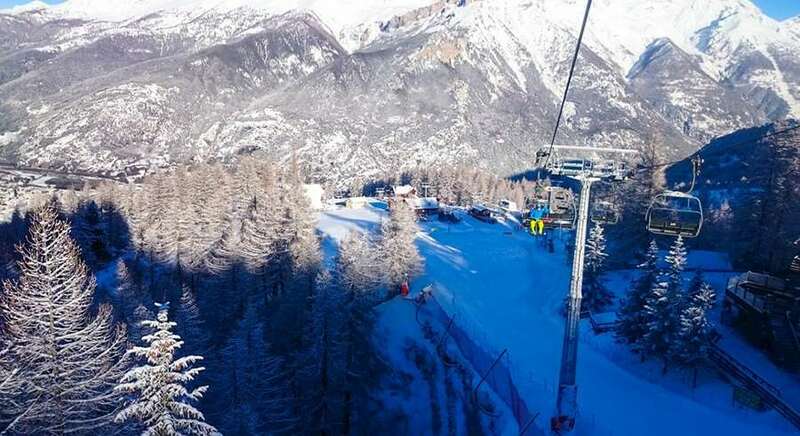 The focus at Sestriere is on slope activities and the resort is known for its pristine conditions. There is close access to the roudy Sauze on one side and the French resort of Montgenevre on the other. Who flies to Turin Airport? The airlines that fly to Turin are Ryanair, Alitalia, British Airways, Blue Air and Jet2. Free WiFi is available at Turin Airport for an unlimited time period. There is a pharmacy, a children’s play area and a currency exchange counter.Car rental services are also provided at the airport for people looking to explore the local area by road. A small, but modern international airport with a restricted variety of shops and restaurants. However, being in Italy you are never short of high quality eateries and Pinguineria Pepino, I'Amme Mozzarella Bar and Restaurant Foglie are the top picks.